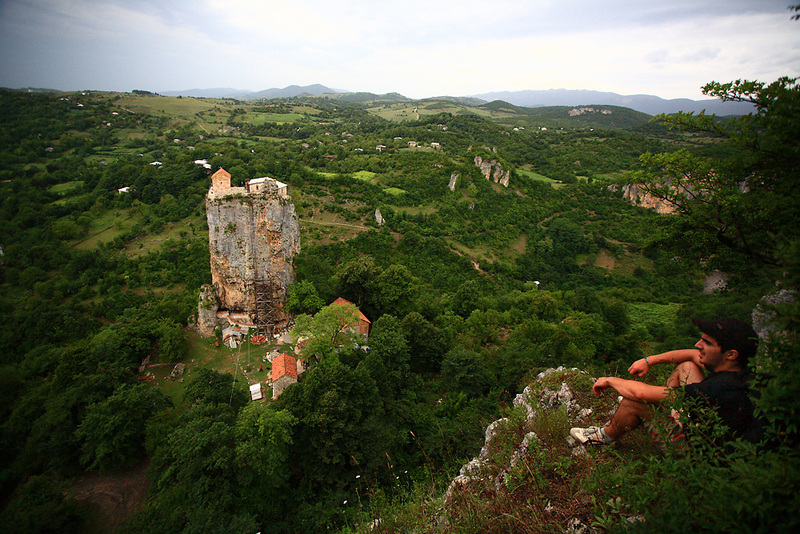 The towering Katskhi Pillar is about 10 kilometers from the mining town of Chiatura. Father Maxim Kavtaradze at the top of the pillar. Father Maxim eats with some of the volunteer builders. A building volunteer descends the iron ladder leading to the top of the pillar. Father Maxim talks to some of his volunteers. 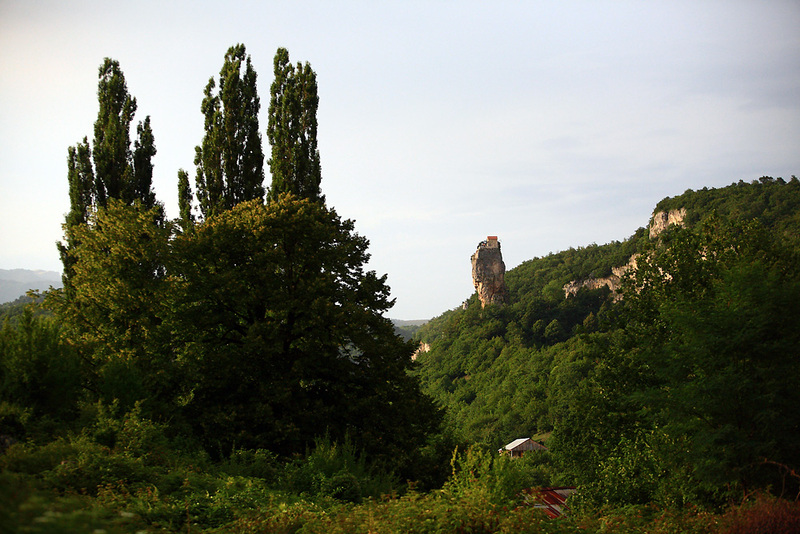 The 40-meter-high rock column sits in central Georgia’s Imereti region. 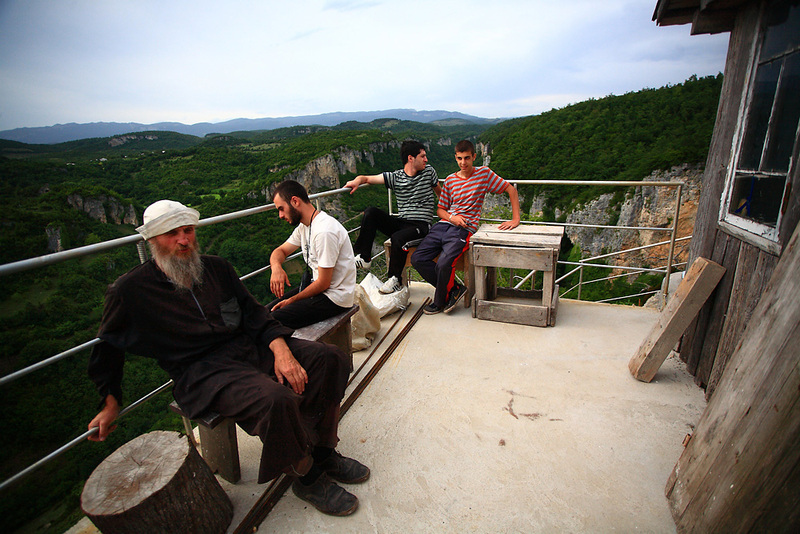 Father Maxim and his volunteers take a break during construction. The remains of the last monk to inhabit the pillar monastery were found in the 1940s by a group of historians and climbers. 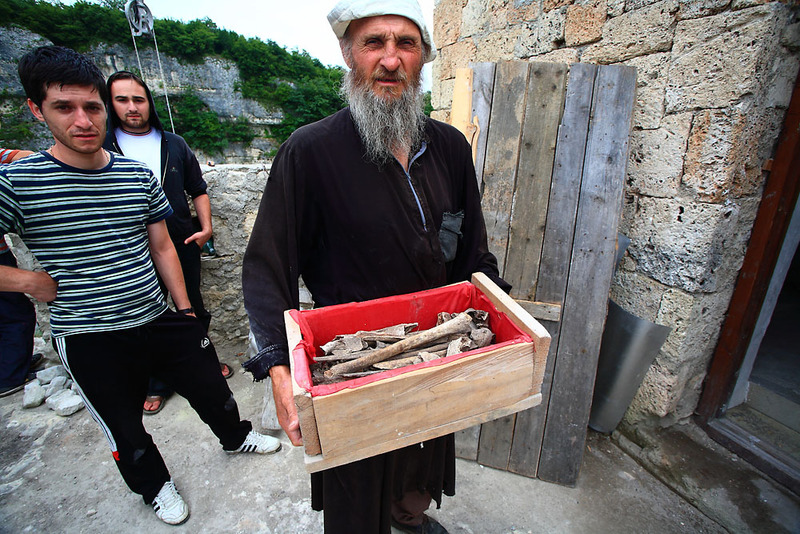 Father Maxim shows the bones of the last monk who died at the top of the pillar. 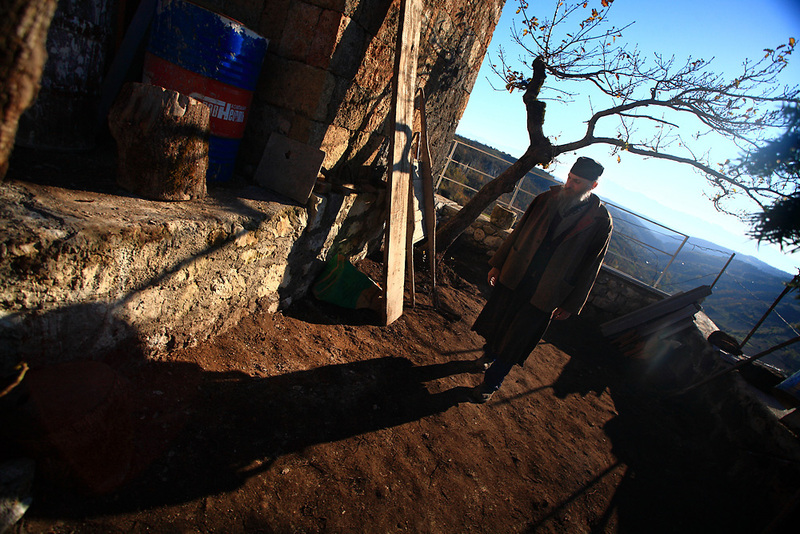 Father Maxim, a 55-year-old native of Chiatura, says that he has dreamed of living atop the pillar, like the Stylites. Builders use ropes to lift heavy construction materials from the ground. 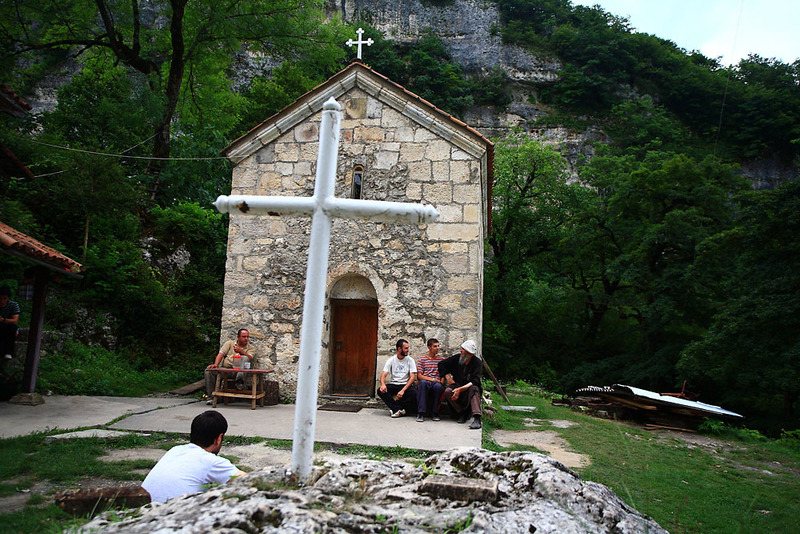 A small church sits at the foot of the Katskhi Pillar. 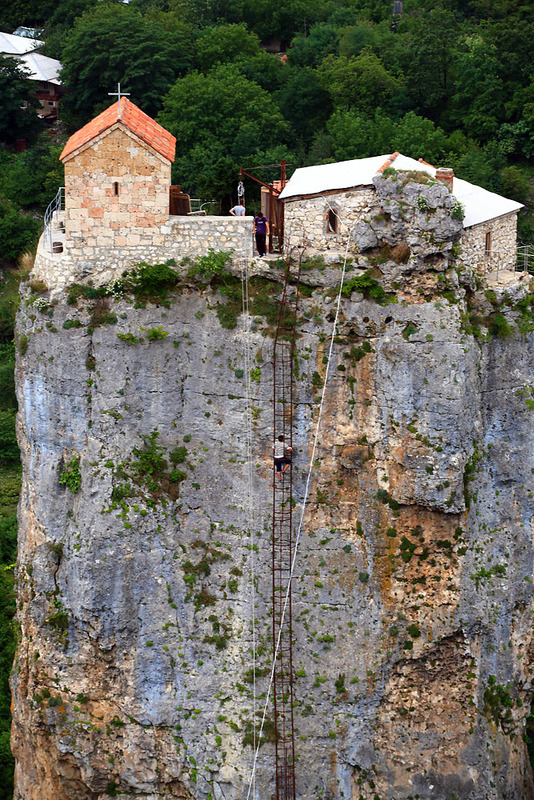 A church was first built atop the rock between the 6th and 8th centuries. Following the example of the first Stylite, Simeon, Father Maxim does not allow women on the site. 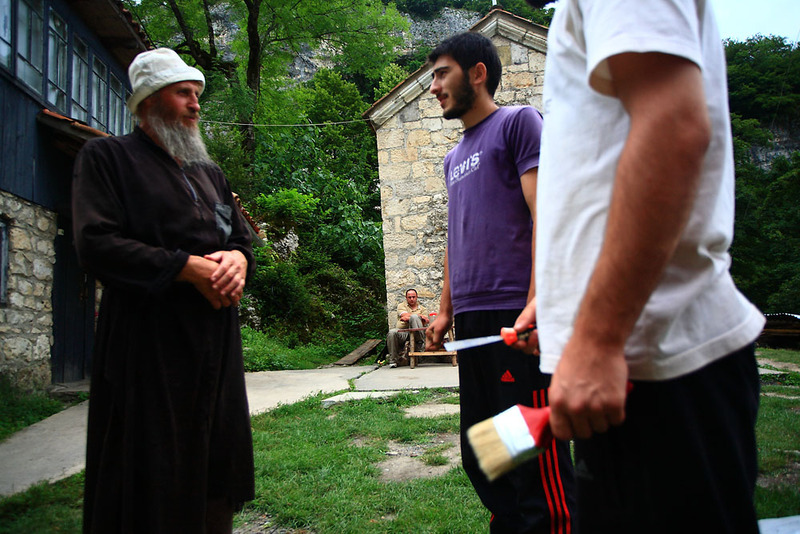 In 1993, Father Maxim took monastic vows, and two years later decided to move to Katskhi. 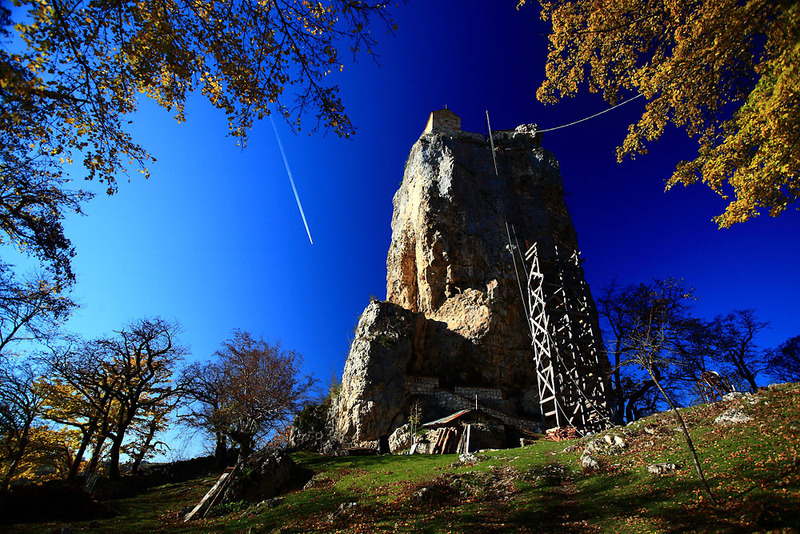 Stylites, early Christian ascetics who prayed and fasted on top of pillars, used Katskhi until the 15th century. Father Maxim gives directions to builders working atop of the pillar. Work on the project should be largely finished by the summer of 2011. The labor involved, though, can require a head for heights, as well as for matters spiritual. More and more people now come to Katskhi to donate money or building materials for the church’s construction. Come summertime, getting away from it all is the dream that haunts everyone. 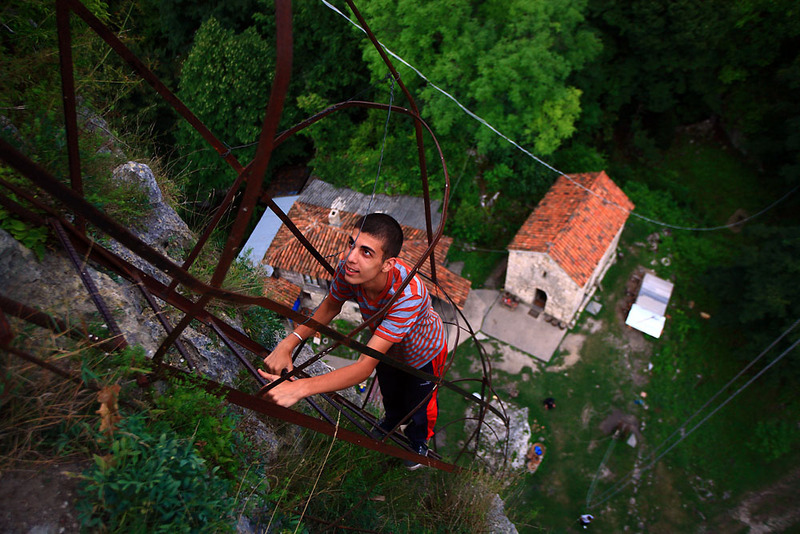 One Georgian Orthodox monk, though, has come up with a plan for a lifetime of escape atop a 40-meter-high rock column in central Georgia’s Imereti region. 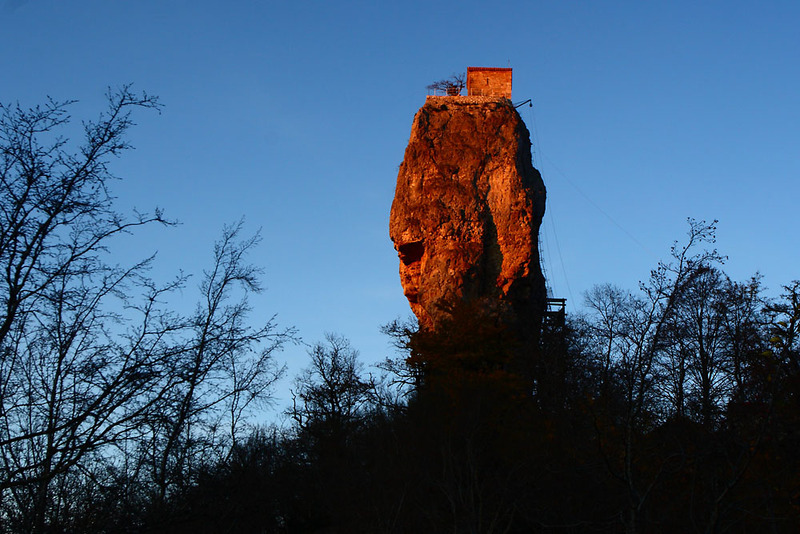 In pagan times, the towering Katskhi Pillar, located about 10 kilometers from the mining town of Chiatura, was thought to represent a local god of fertility. With the arrival of Christianity in Georgia in the 4th century, it came to represent seclusion from the hurly-burly of ordinary life. 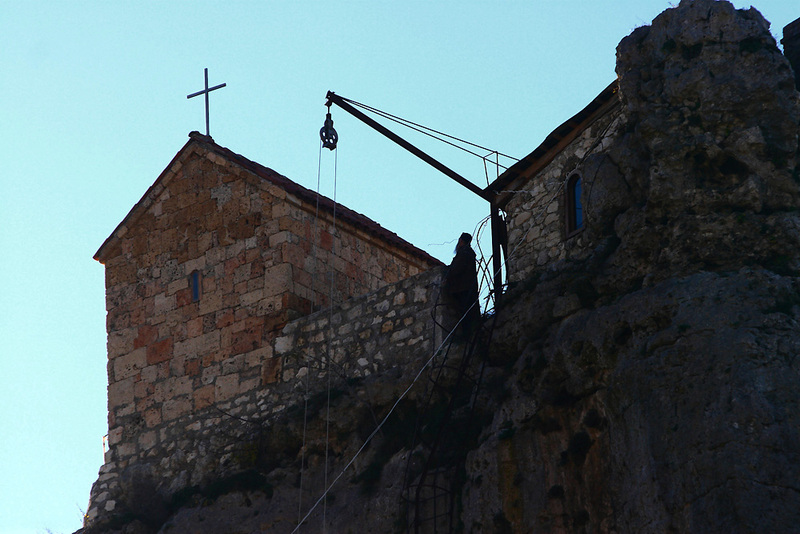 A church was first built atop the rock between the 6th and 8th centuries -- no one knows exactly how or why. 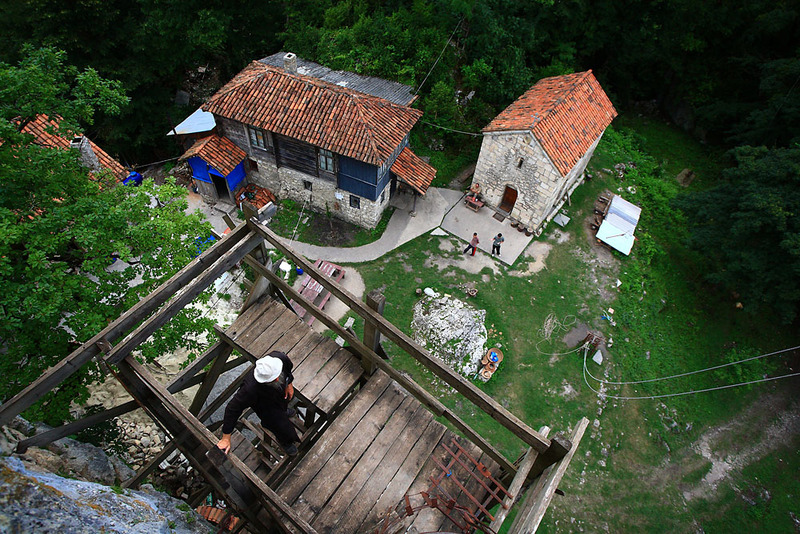 Stylites, early Christian ascetics who prayed and fasted on top of pillars, used Katskhi for their devotions until some time in the 15th century, when Georgia was struck by domestic upheaval and invasions by Ottoman Turkey. 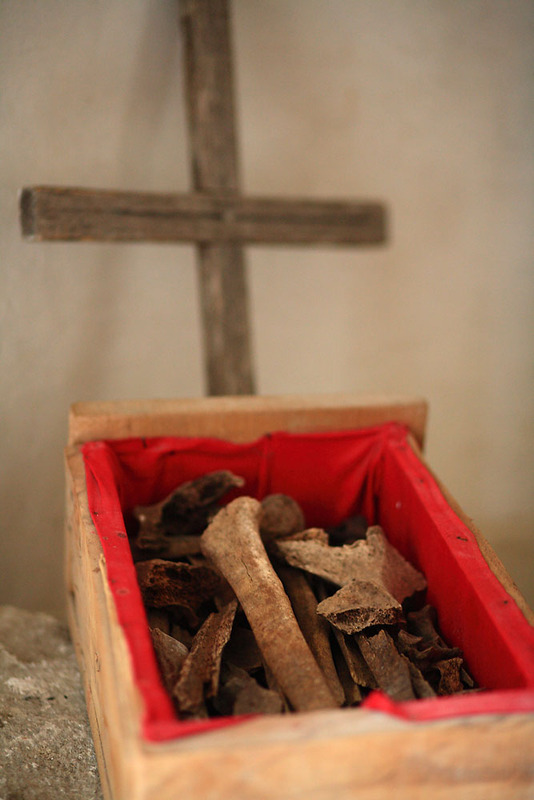 The remains of one unknown practitioner today lay buried beneath the church. 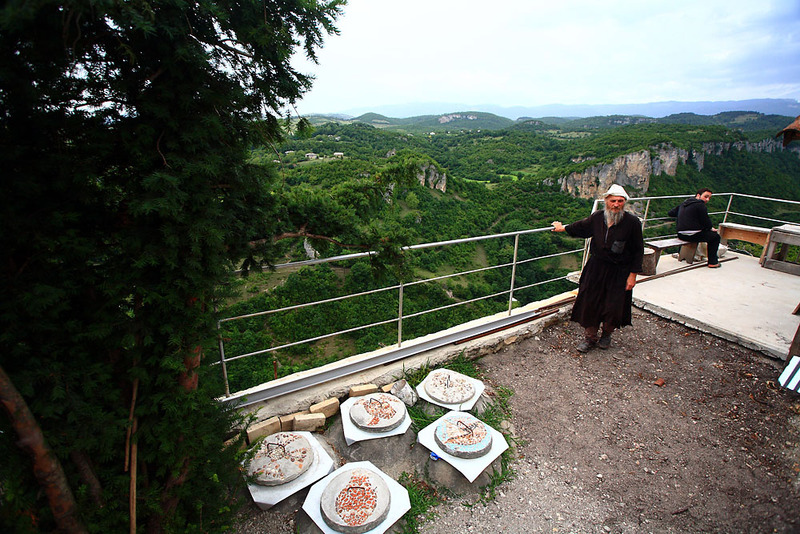 Father Maxim, a 55-year-old native of Chiatura, says that he has dreamed of living atop the Pillar, like the Stylites, since he was young. “When my friends and I used to come up here to drink outdoors, I always envied that monk who used to live there when I looked at the pillar,” he recalled. 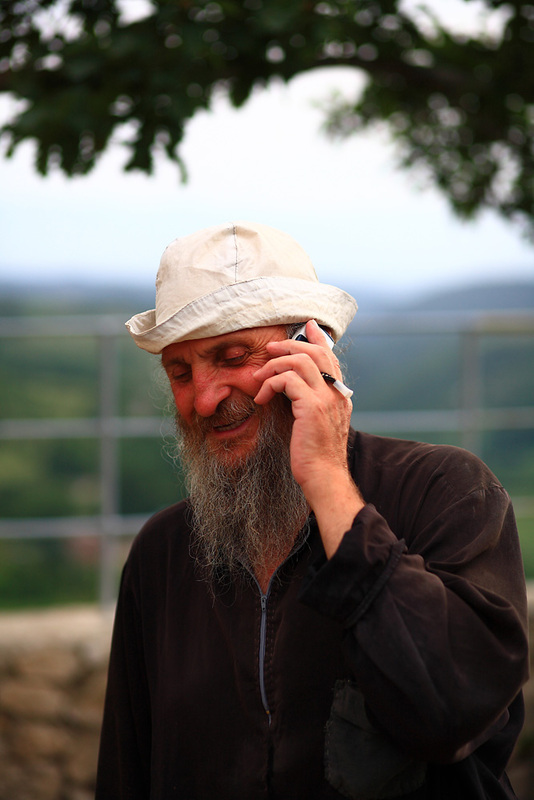 In 1993, Father Maxim took monastic vows, and two years later decided to move to Katskhi. 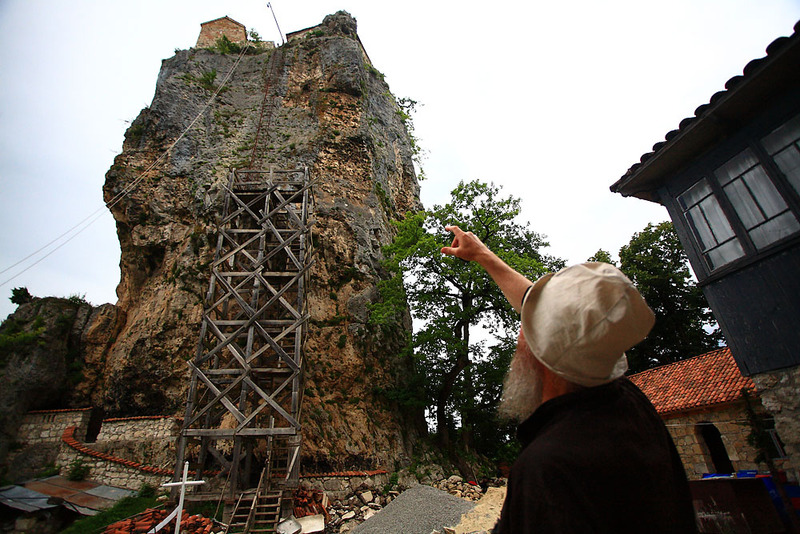 After spending one winter in a grotto beneath the rock column, he received money from a “friend from Tbilisi” to build a new church on its top. The Georgian Orthodox Church’s local eparchy, or regional administration, allegedly granted Father Maxim permission to erect the structure on the site. Amidst an ongoing religious revival in Georgia, Father Maxim’s mission easily found supporters. More and more people now come to Katskhi to donate money or building materials for the church’s construction -- a generosity that makes the overall cost of the project difficult to estimate, he claims. Many local villagers also volunteer to work on the site for free. The labor involved, though, can require a head for heights, as well as for matters spiritual. Scaffolding runs halfway up the column; an iron ladder reaches to the top. Builders use ropes to lift heavy construction materials from the ground. 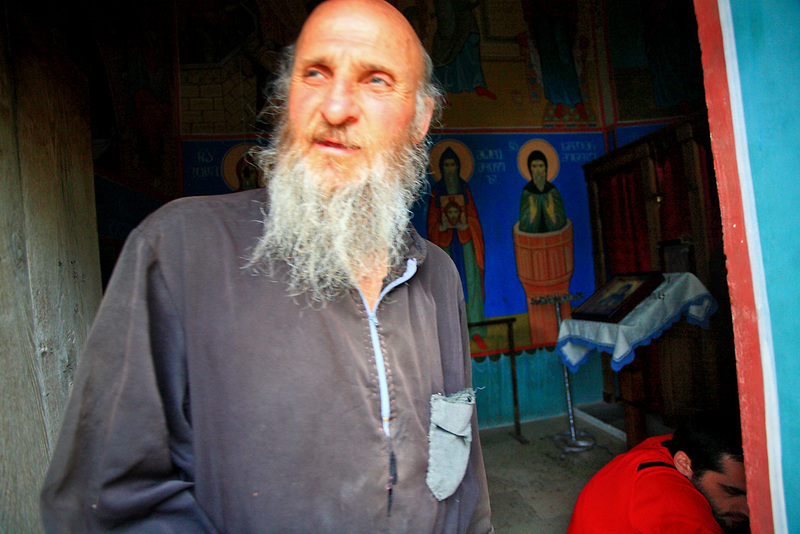 Following the example of the first Stylite, Simeon, Father Maxim does not allow women on the site -- a ban also practiced at pagan shrines in Georgia’s mountain regions of Tusheti and Khevsureti. The Patriarch’s office could not be reached for comment. But if the blessing ever comes, Father Maxim knows what he will do -- climb up Katskhi, pull the ladder up after him and live apart from the world’s tumult, once and for all.